Different for Your Frozen Breakfast Set? 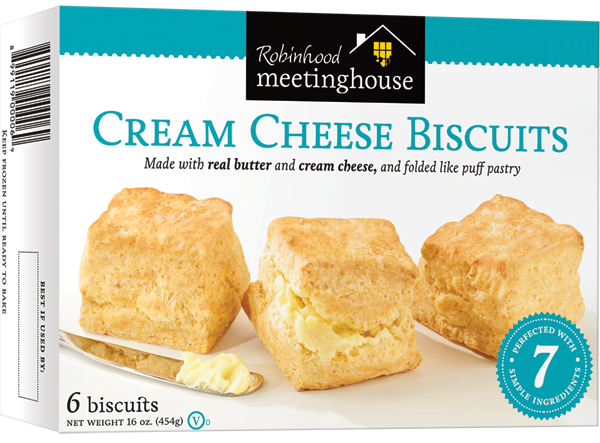 All Robinhood Meetinghouse products are made with natural, simple ingredients with no additives, preservatives or GMO’s. Real butter and our signature folding process sets our biscuits and cinnamon rolls apart from the conventional competition. Robinhood Meetinghouse products are nationally distributed and we’re growing our frozen distribution network every day. Please contact a sales representative for store support and our promotional calendar. 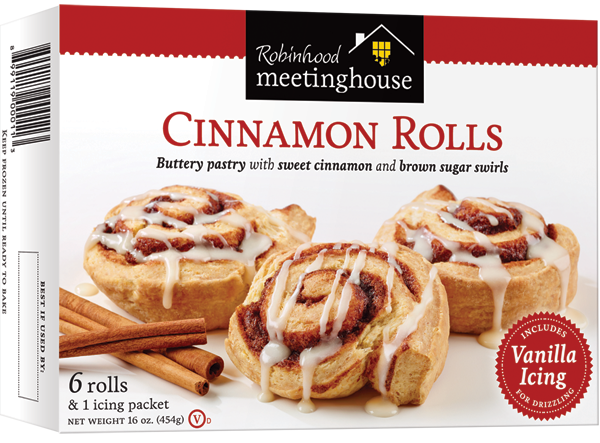 Two consistent favorites, Cream Cheese Biscuits are our signature product and families love our Cinnamon Rolls!